↑ "The Radio Academy Hall of Fame". The Radio Academy. Archived from the original on 8 December 2011. Retrieved 8 December 2011. ↑ Silverman, Dave (1998–1999). "Interview: Douglas Adams". American Atheist. 37 (1). Archived from the original on 8 December 2011. Retrieved 16 August 2009. ↑ Bowers, Keith (6 July 2011). "Big Three". SF Weekly. Archived from the original on 8 December 2011. Retrieved 8 December 2011. ↑ "Obituary & Guest Book Preview for Jane Elizabeth BELSON". The Times. 9 September 2011. Archived from the original on 8 December 2011. Retrieved 8 December 2011. ↑ "Jane Belson, Douglas Adams's widow, passed away". h2g2. Retrieved 9 July 2013. ↑ Lewis, Judith; Shulman, Dave (24 May 2001). "Lots of Screamingly Funny Sentences. No Fish. – page 1". LA Weekly. Archived from the original on 8 December 2011. Retrieved 20 August 2009. ↑ "BBC Online – Cult – Hitchhiker's – Douglas Adams – Service of Celebration". BBC. 17 September 2001. Retrieved 11 March 2013. ↑ Molloy, Mark (May 25, 2016). "What is Towel Day? The Hitchhiker's Guide to the Galaxy creator Douglas Adams celebrated". The Telegraph. Retrieved July 27, 2017. ↑ "Islington People's Plaques". 25 July 2011. Archived from the original on 18 March 2012. Retrieved 13 August 2011. ↑ "Don't Panic! Google Doodle Honors Author Douglas Adams". abc News. 11 March 2013. Retrieved 11 March 2013. 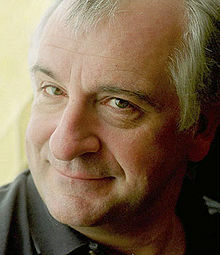 ↑ "Douglas Adams' 61st Birthday". Retrieved 11 March 2013. ↑ "Travessa Douglas Adams - Cdef Blog" [Street in honor of Douglas Adams]. 2 November 2015. Retrieved 19 November 2017. ↑ "Don't Panic! It's The Douglas Adams Papers, Archive on 4 - BBC Radio 4". BBC. Retrieved 30 March 2018. ↑ "Travessa Douglas Adams". Cdef Blog (in ਪੁਰਤਗਾਲੀ). 2 November 2015. Retrieved 30 March 2018. Roberts, Jem (2014) "The Frood: The Authorised & Very Official Biography of Douglas Adams & The Hitchhiker's Guide To The Galaxy" Preface Publishing. ISBN 009959076X009959076X "The Frood"